Made for those who relentlessly chase their goals. Not for those looking to compromise. 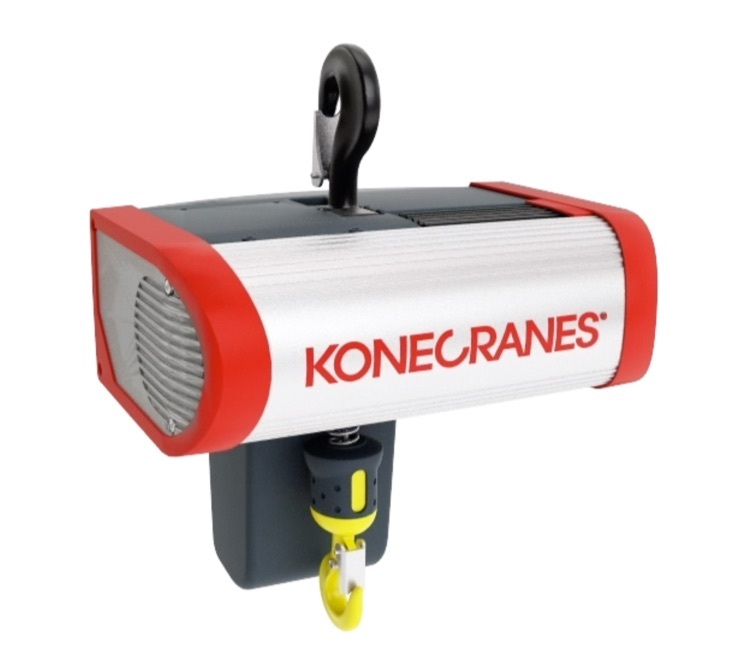 Discover the Konecranes CLX and SLX electric chain hoists. We use the latest in ergonomic research and design to maximize the efficiency of moving lighter loads while maintaining the highest levels of safety and operating comfort for your personnel. We design and manufacture core components in-house, practice extensive quality control with fully integrated testing, and develop technical features to increase the safety and longevity of the equipment. The result is a product that works closely with your operators for the ultimate user experience. The CLX & SLX electric chain hoists are designed to help operators in their daily work and give them a needed boost when lifting loads that are too heavy to move by hand. Your hoist can be customized to suit any basic lifting requirements. Multiple suspension and structuring options optimize your space and processes. 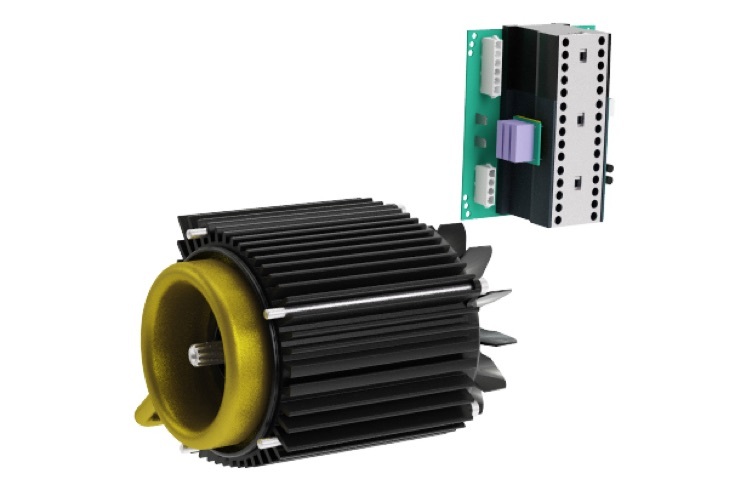 The 6:1 speed ratio to inverter technology allows fast and precise movement, which is imporant in assembly work. We offer a wide temperature range to suit demanding work environments. Our hoists are designed to last and their simple maintenance access reduces downtime which is crucial in larger processes. Dust protection makes our electric chain hoist ideal for conditions where there can be tiny airborne particles. The ergonomic design of the CLX and SLX hoists makes them faster and easier to use, reducing work cycle times and improving productivity. A Konecranes electric chain hoist is an ergonomic and efficient lifting partner supporting everyday processes. The SLX can lift 2,500 kg and the CLX can take up to 5,000 kg, giving you more versatility in your industrial applications at your most demanding workstations. Reload - simple-line-icons Created with Sketch. Trophy - simple-line-icons Created with Sketch. User-following - simple-line-icons Created with Sketch. Speedometer - simple-line-icons Created with Sketch. Wrench - simple-line-icons Copy Created with Sketch. Puzzle - simple-line-icons Created with Sketch. The self-adjusting magnetic disc brake is designed to last as long as the hoist does. It is easy to inspect with no adjustments required. The brake is also positioned on the opposite side of the gearbox which will ensure the load is held in place in the unlikely event of a slip-clutch or motor failure. Maintenance-free gearbox with gearing made in-house. Our gearbox is lubricated for a lifetime and has helical gearing for quiet, precise operation with years of reliable performance and no scheduled maintenance. Overloads are prevented via our adjustable slip clutch assembly. This standard feature protects your people, building structures, cranes, and the hoist from dangerous overloads. Optimized performance and improved safety with limit switches. 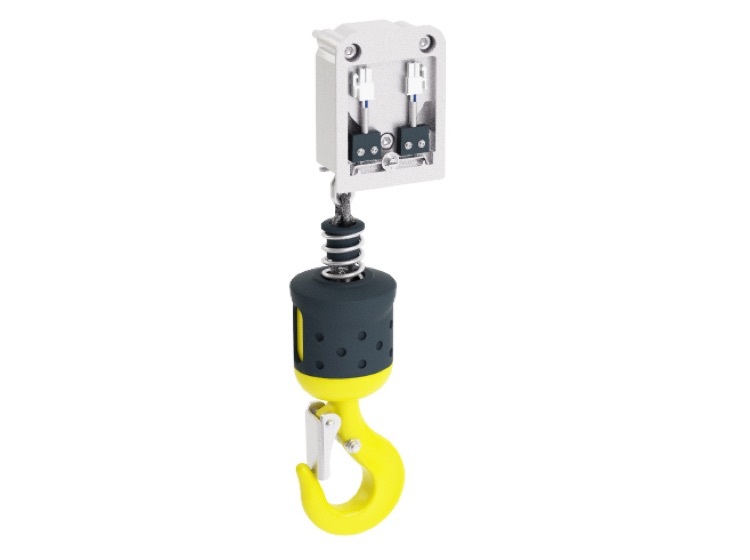 Hook block with a solid rubber grip improves both mechanical function and operator comfort. Motor – we also have inverter motors for our SLX Variable Speed Hoist with standard smart features.